How do I download MMD 9.31? Where can I download MikuMikuDance 9.31? Can I still download MMD 7.39? I want the latest DirectX version of Miku Miku Dance. GET THE NEWEST Version of MMD … 9.31! Download MMD 9.31. It is a 6.5mb download ZIP file. I SAVEd it to my Desktop. When you have it, open that zip folder and click the command “Extract All”. I just agreed to the defaults and found a new folder on my desktop containing MikuMikuDance … ready to run. I dropped the ZIP folder into the MMD folder just to keep it. There is no “installing” MMD. It sits in its folder on your desktop, ready to use. If you decide you don’t want to keep it, just drag the folder into the Recycle Bin … there is no “uninstall”. With MikuMikuDance being released in English, our readers from around the world can download MMD. 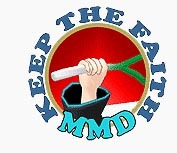 Readers in France, Chile, Iceland and India can download MMD and visit LearnMMD.com for MMD instructions! MMD does not “install”… just unzip the download folder on your desktop… and double click the MikuMikuDance.exe program. See our Step-by-Step MMD instructions. How to Upgrade MMD 7.39 to MMD 9.31. ——- Getting Error Statements? You are not alone! The “failed to start because the application configuration is incorrect” statement had me confused until I discovered the solution. Read the new article on LearnMMD.com to fix the problem. The “Missing DLL Error” has Two Versions! Sometimes a user needs to update his/her DirectX files. The first, basic DirectX error states that MMD cannot find DxOpenNI.dll. You need to run the DirectX 9c Updater from the LearnMMD Downloads page. Go to the LearnMMD Downloads Page to get your MikuMikuDanceE_v926.zip … a 6.5mb download. I expect the new version, Miku Miku Dance 9.31, will run well and be able to use the mountains of accessories, models, and effects created for MMD 7.39. I am looking forward to learning about “what’s new” in MMD 9.31. Eh… How to download the latest version of MikuMikuDance on Windows10? a) The same as you download any other file on any other system. b) Make sure you’ve installed all the necessary software. c) Explain yourself in more details. I just did a Windows 10 install a few months ago… success! Click that link to read all about it. Did you download the appropriate 32-bit VS 64-bit to match your version of MikuMikuDance? did you Extract it from its ZIP folder… and did you drop those three DLL files into the MMD folder next to MikuMikuDance.exe?.. If you did… it simply MUST work.